Physiologically, twins are the two offspring bore in a single pregnancy. While the mechanism of their being can be stated with the state of art medical research, the actual reason for such event is practically unknown. Twins are one of nature’s wonders with their facial and behavioral similarities. Let us delve deep into their amazing world. Often the Visual similarity in twins channels us to believe that they are identical in all aspects. But in real terms twins do have individual fingerprints. They seem to have different belly buttons, natural body scents and may have completely different personalities as they grow up. Generally, we consider twins either identical or fraternal. However, when an ovum is split into two before fertilization and gets subsequently fertilized by two different sperms, it results in semi-identical twins that end up sharing 75% of their DNA. Another type is ‘Mirror Twins’ which happens when a fertilized ovum splits at a later stage of pregnancy than usual. Such twins are actually the exact opposite with respect to personalities, habits and even birthmarks. A 75% percent increase in the twin birth rate has been recorded in between years 1980-2003. However, the rates of identical twins have been constant. Some areas of the world are famous for procuring more twins than the others. While the underlying factors behind such events are yet to be discovered, researchers and doctors hold genetics and diet to be the reasons. Numerous surveys reveal the fact that females who bore twins tend to live longer. Again, no proof of reason exists but the hypothesis of the cases state that twin’s mothers have a naturally stronger variety of genes, which presents them with long-lives. It is no big secret that twins have their own form of both verbal and non-verbal communication codes. Such behavior develops during the early stages of pregnancy and stays for life. The close comfort that twins provide each other is a direct result of this happening. In addition, during their learning years mistakes in the same pronunciations has also been observed between twins. Various surveys and researches that there is a potential dip in twins’ IQ than that of their solo counterparts especially during childhood. This fact is easily overcome as they progress into adulthood and perform on the equal likes of the other singletons. 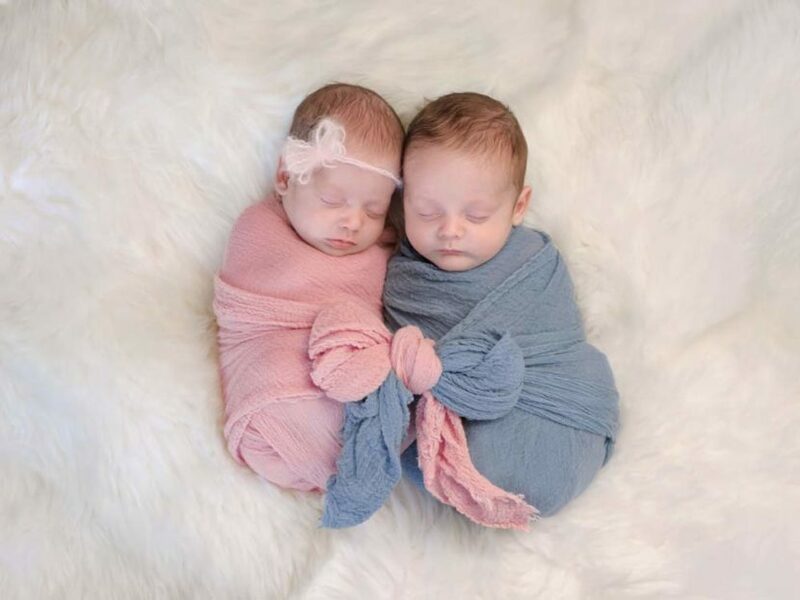 It can be attributed to the fact that twins have essentially low weights at birth and they have less gestation period. If there is a marriage happening between two sets of identical twins, then the children of both couples will socially be called cousins. However, genetically speaking they would be siblings. It is because the DNA of those kids is from the same genetic pool. Therefore, there are high probabilities that these kids would exhibit features of siblings or fraternal twins. Twins are always fascinating for people. These amazing facts will fascinate you even more now.